Sell on Amazon? Or is it the Amazon marketplace too saturated? Is Amazon Too Saturated? Is it Too Late to Sell on Amazon? Many people know Amazon as “The Everything Store”. Their masterplan is to source everything and anything possible to sell on Amazon. You can buy anything from cars to fireplaces to Cheerios. Amazon’s goal is to grow their marketplace and stock every product in the world. This ambitious goal leads to an absorbent amount of similar products with minimal variation. 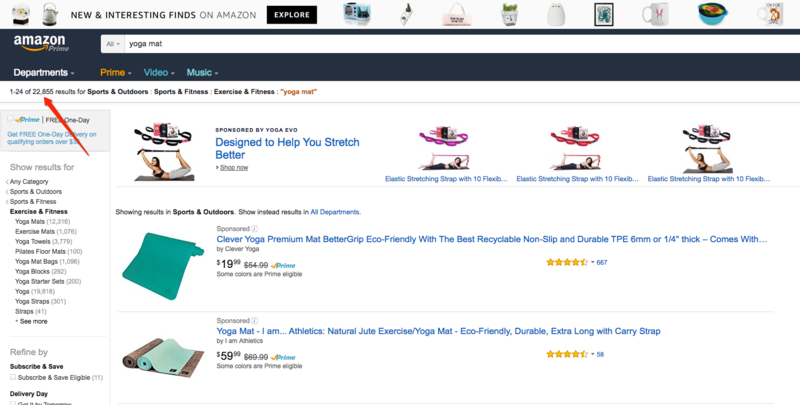 Does Amazon really need 1896 different garlic presses or 22,855 different yoga mats? 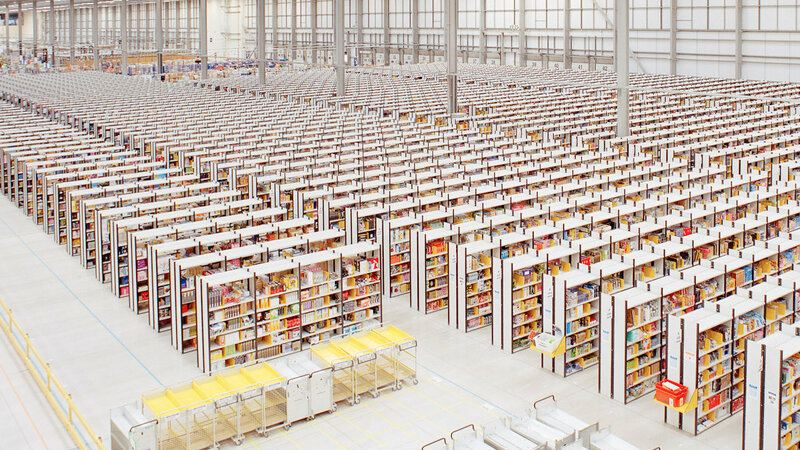 Amazon has more than 25 sorting centers and more than 96 fulfillment centers in the United states alone. A lot of these fulfillment centers are more than 1,000,000 sq/ft and will specialize in a specific product size or category. Though they have a giant workforce (hiring 140,000 seasonal workers this year) and an army of robots, there is still not enough space or (w0)man power. Amazon has recently put a halt to new 3rd party sellers as a way to combat their bursting warehouses. Amazon has too much stale inventory. This is very discouraging to anyone who is new to the game and wants to sell on Amazon. 3rd party sellers are incentivized to over-supply inventory due their “set it and forget it” business model built for to sell on Amazon. These sellers will send many months of inventory to be stored in Amazon’s warehouses and let it sit idle because Amazon’s storage fees are so minimal. This is a nightmare for Amazon; they want lean warehouses. This is one more reason why Amazon is switching to a vendor-focused model instead of a seller-focused model If you allow the 3rd party sellers to manage their inventory levels they are incentivized to never run out of stock and are barely punished for having too much inventory. When Amazon orders from manufacturers in weekly quantities they can be lean and have the perfect amount of inventory in stock–maximizing the turns within each warehouse. In the same spirit, Amazon has also pushed harder for their vendors to drop ship orders for them through a new program called “Dropship Central”. They also are allowing top 3rd party sellers to ship their own inventory and still with the benefits of Prime through a program called merchant fulfilled prime. The warehouse space problem has become so bad that Amazon will pay for the shipping at certain times to encourage sellers to pull their inventory. Amazon does not need 1000 different types of every product. It can be the “everything store” without clogging our shopping experiences with spammy products. At the same time, it would allow Amazon to have a leaner operation and not have so much “junk” clogging up their fulfillment center’s shelves. Copyright © 2019 William Tjernlund . Powered by WordPress. Theme: Spacious by ThemeGrill.